Even though this photo is from more than 100 years ago – around the time your great-great grandparents were kids – you probably see a lot of things that would be familiar in your own house around Christmastime: There’s an evergreen tree strung with decorations, a stack of wrapped presents, a grinning girl with a new doll, and kids dressed in their nicest clothes (maybe ready for Christmas dinner or a visit to church). This photo was taken in Eau Claire in 1897, toward the end of what is called the Victorian Era. A lot of current Christmas traditions – including Christmas trees and celebrating the holiday by exchanging lots of gifts – came to America from Great Britain during this era. The five children shown belonged to Gilman and Catherine Moon. 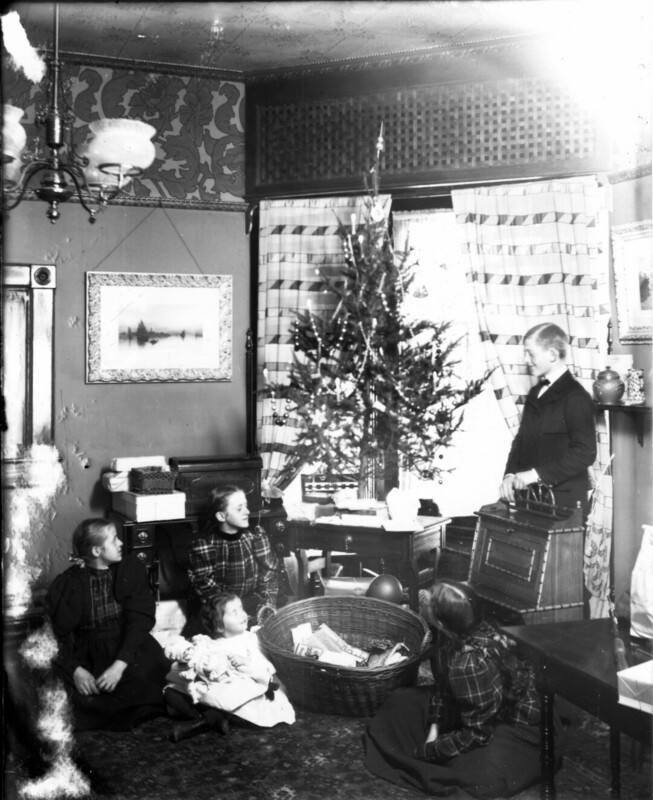 The Moon family was important in the early years of Eau Claire: The kids’ grandfather, Delos Moon Sr., was president of the Northwestern Lumber Co., and his house was described as the “finest in the city.” We imagine the grandkids had a fine time at Christmas, too!